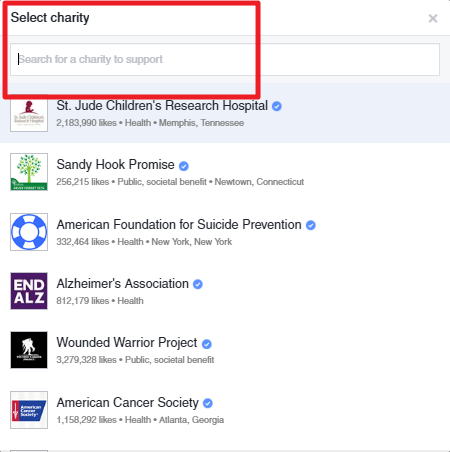 Head over to the Foundation's Facebook page and click the + Create fundraiser button. 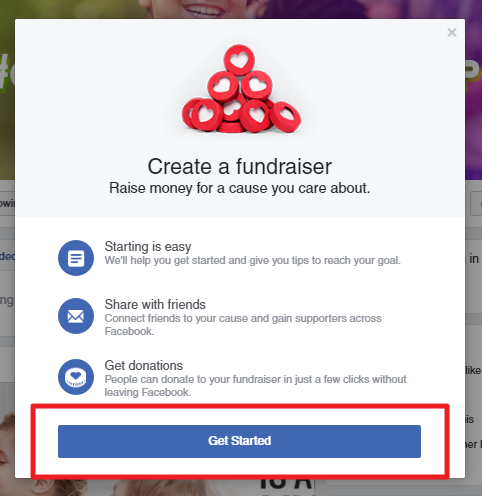 Once the fundraiser pop-up shows up, click Get Started to begin. 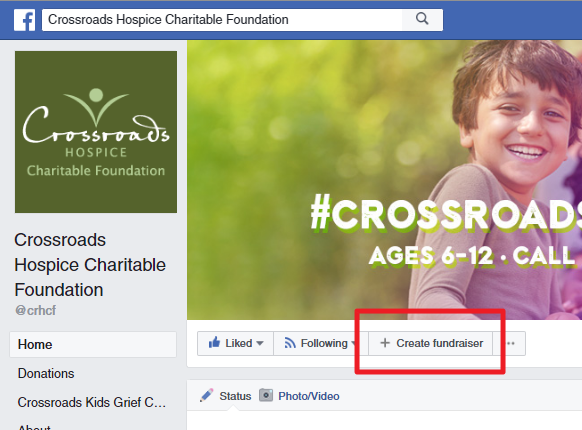 If it's not already selected, search for Crossroads Hospice Charitable Foundation on the search bar. 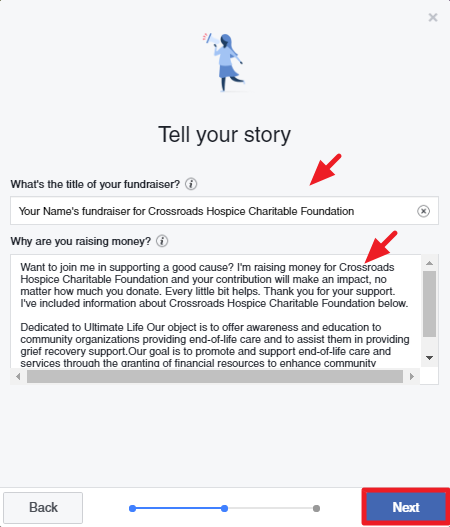 Select Crossroads Hospice Charitable Foundation from the search results. 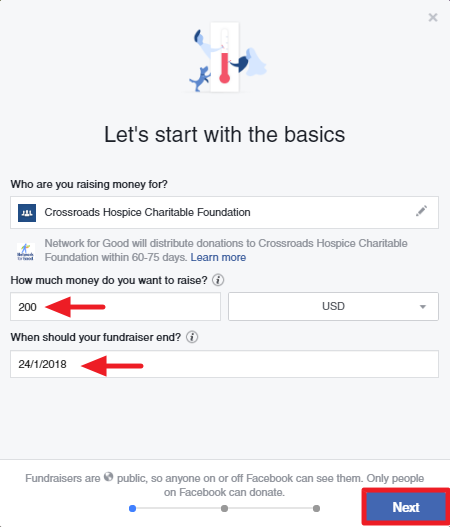 Choose the amount you would like to raise and the date you would like to raise that amount by. Wether you've been a caregiver to a loved one or are just passionate about hospice, your story is what will help bring in donations the most. 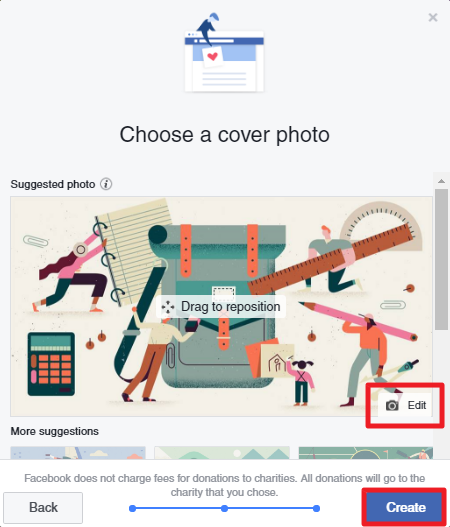 Download the cover photo from below and click Edit to upload the cover photo. 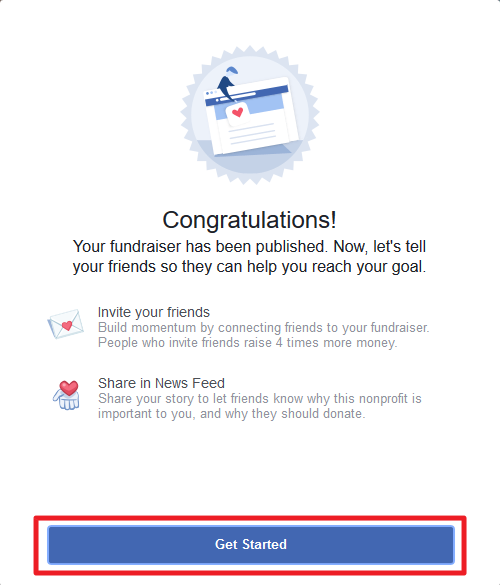 Your fundraiser is up and running! Now tell all your friends and family the good news!